Based in both the Greater Boston area, and the San Francisco Bay Area, 25th Hour Communications is a full-service marketing agency with a very special niche, working with community colleges across the country. Its team is largely made up of people who have been teachers, administrators and marketing directors at community colleges, have a background as students or other connections that make them relevant to that market. In some cases, the work 25th Hour Communications does involves coming in to work on a specific marketing project or activity. In other cases, it might mean acting as the de facto marketing department, or an extension of the existing marketing function at a particular institution. Most marketers and communications professionals struggle with the same issue: fitting in everything they need to accomplish within the confines of a given day. That’s why the slogan for 25th Hour Communications — ‘We’re the extra hour you need in your day’ — is so relevant to its customers. And in order to fully be there for the organizations it supports, 25th Hour Communications has learned to put its trust in Cision. According to 25th Hour President Jennifer Aries, the marketing capabilities and needs can be very different from one community college to another. Crystal Balfany, the firm’s Digital Media and Marketing Coordinator, says 25th Hour provides a spectrum of helpful services that includes creating press releases, flyers and promotional material to content for a college’s Instagram, Facebook and other social channels. Beyond pitching in as needed, though, 25th Hour Communications also needs to bring its clients insight and advice on how to build a robust marketing strategy — one that includes earned media. 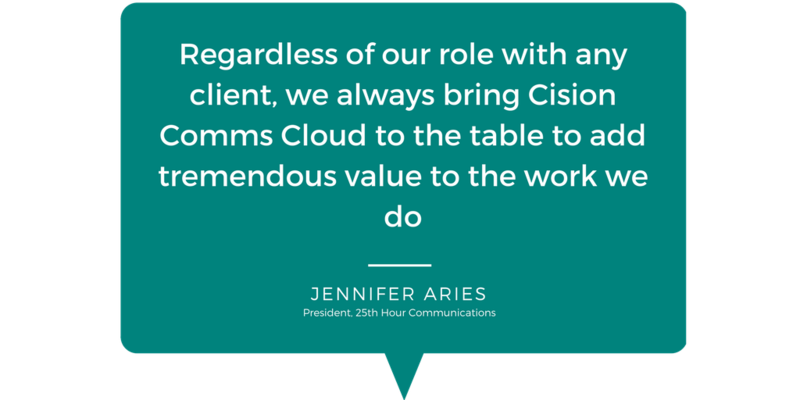 25th Hour Communications has come to rely on Cision Comms Cloud, an integrated platform to manage all aspects of earned media outreach, management, and analysis. Cision Comms Cloud includes database, distribution and monitoring tools. It also works with other marketing technology applications such as Google Analytics, Omniture, and Marketo. Empowering Clients: 25th Hour Communications doesn’t just use reporting and analytics to reflect its own success, but to help client stakeholders. The team referred to a marketing director at one client who was able to use a report generated through Cision Comms Cloud to show the president of the institution how it generated more than $166,000 worth of paid media through earned media efforts. Business Development: The team was pitching a client who had gone through some negative media coverage and was trying to reposition itself. Using Cision Comms Cloud, 25th Hour was able to come to the table with a report showing what kind of coverage had been generated over the previous month -- impressing the prospect (who wound up becoming a client) about how well the firm does its homework. “Sometimes these clients get so busy they don’t have the time to see what’s bubbling to the top in print and online. Cision covers both, which is fantastic,” says Balfany, citing another instance where a client’s alumni event generated far more earned media than anticipated. “Sometimes they are a little shocked, but having the reports is a nice reminder that we have their backs and are supporting them. 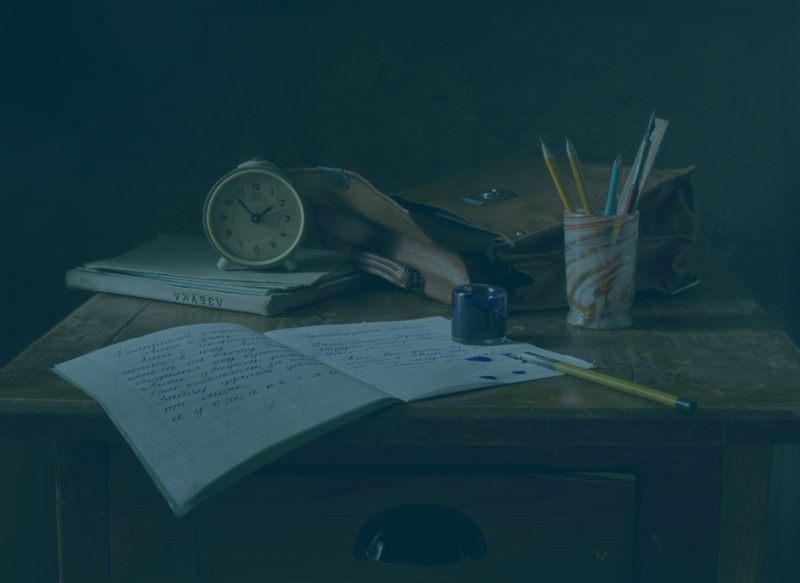 As it wins more community colleges as clients, the potential for what 25th Hour Communications can offer has no limits — especially with Cision Comms Cloud at their disposal.